A sufficient amount of stock has been gathered for the first EM goods train and attention now focuses on the rear of the train. Since this first train has a specific purpose in mind, (hauled by an ex-CR Jumbo of which more in future instalments), it makes some sense to have an appropriate brake bringing up the rear. Enter the Stanier 20 ton brake. The basis for this model is the old Airfix 20t Stanier which dates from 1977-8 which is about as long as I’ve been modelling railways! Still, it’s a testimony to the quality of these models that they still have potential to become show stoppers. 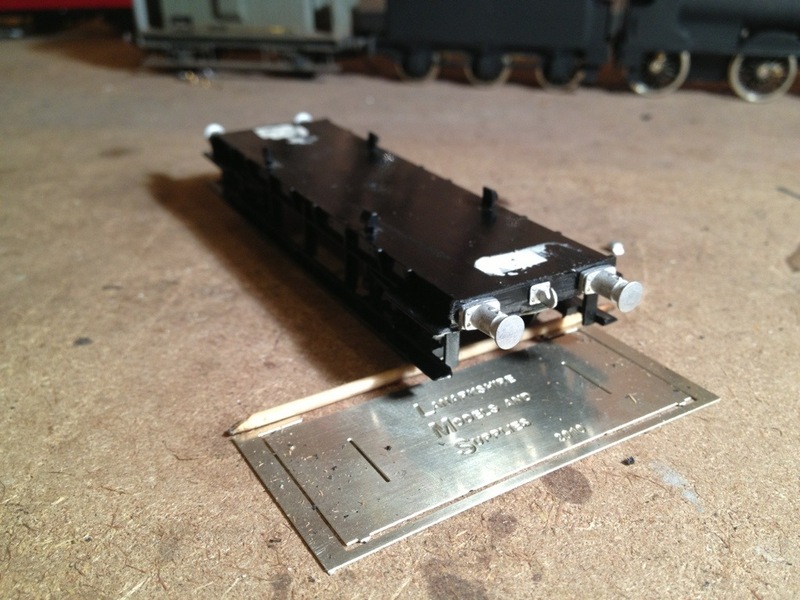 In this instance, my model is fitted with Lanarkshire Models cast buffers and drawhooks. The same manufacturer’s underfloor ballast box is used to fill the very noticeable void underneath. The moulded on handrails have already been removed and I’m in the process of drilling out holes to accept the new brass ones,. Finally, after basic painting, I intend to fit Shawplan glazing. 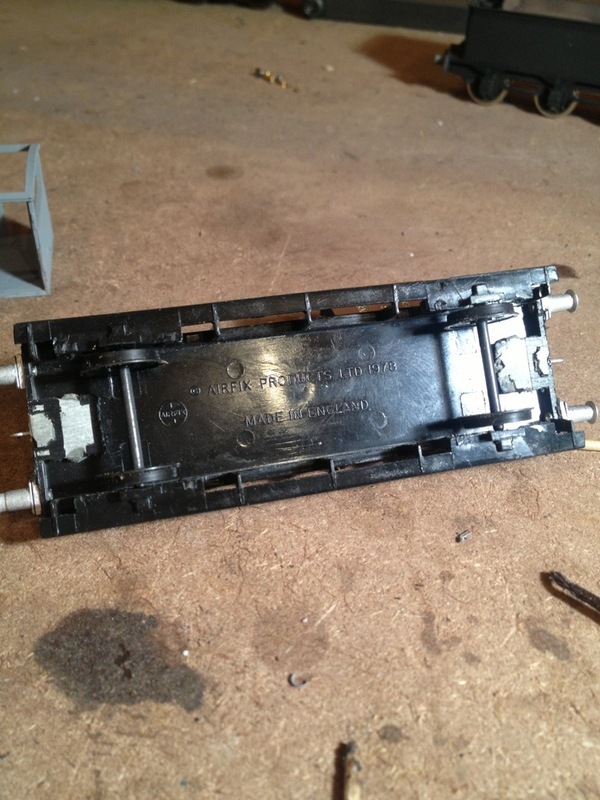 One niggling shortcoming of this 1977 model is the representation of brake shoes and it’s difficult to remove them without causing damage elsewhere. On the other hand, EM wheelsets drop in, unopposed. More later concerning this van. 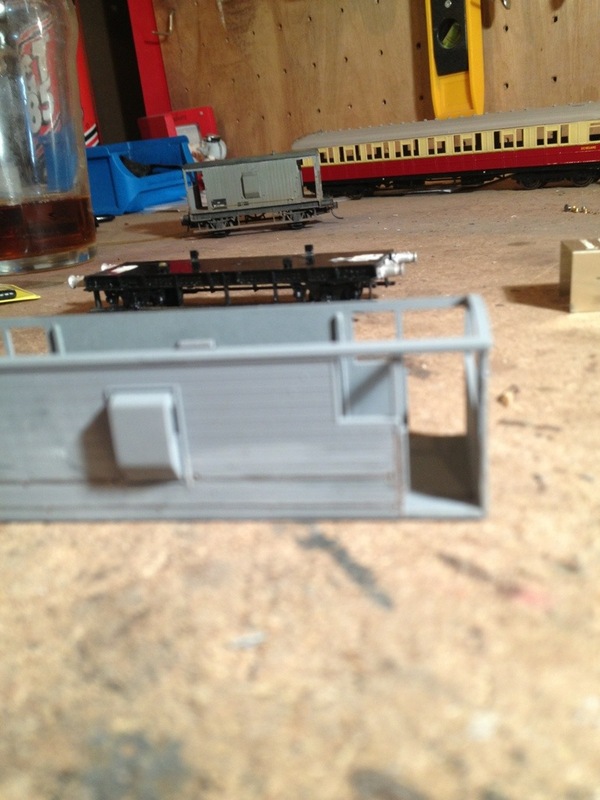 Looking good, what locos are you going to convert to EM? Ultimately all of them, Tim. Might as well hang for a sheep as a lamb!